Mitt Romney has taken a 6-point lead over President Barack Obama in the battleground state of Florida. A new Quinnipiac University poll released Wednesday found Romney now besting Obama 47 percent to 41 percent among likely Florida voters. That's a shift from earlier this month, when a Quinnipiac poll found Romney and Obama statistically tied in the state. In March, Obama led Romney 49 to 42 percent in the Sunshine State. Romney's improved standing in the state is in part due to voter angst over Obama's job performance. Just 45 percent of Florida voters view the president favorably, compared to 50 percent who see him negatively. Fifty-two percent of Florida voters disapprove of the job Obama is doing in the White House. An equal number say the president doesn't deserve a second term in office. Romney's favorable rating is 1 point lower than Obama's at 44 percent, but just 35 percent view him negatively. Meanwhile, half of Florida voters say Romney would do a better job handling the economy, compared to 40 percent who prefer Obama. But Obama still has one major advantage: Voters continue to say he's more "likable" than Romney. 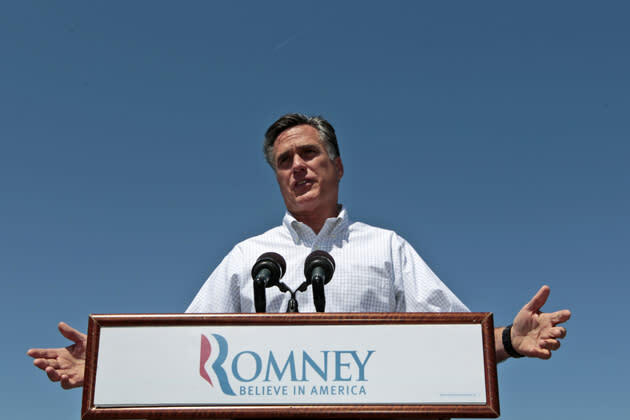 Seventy-six percent say Obama is "likable," compared to 58 percent for Romney.